Lowe Boats are located at the marina, maintaining an inventory of their best-selling jon, bay boats, and center consoles. All boats are equipped with Mercury outboard motors and can be serviced by certified technicians. Get your new boats in Florida right here. From Boat consignment, to trailer sales and repair, to T-Tops installation and more, our full featured marine shop can take care of all of your boating needs. Click the button to learn more about the services we offer. Welcome to Olde Towne Marina! We are a Fernandina marina that provides boat storage and sales of Lowe Boats and Mercury Outboards. Our marina on Amelia Island, Florida, is where you'll find the boat you've been dreaming about to enjoy the beautiful waters of northeast Florida or anywhere else in the world. 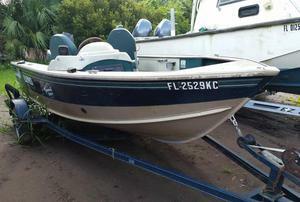 We sell both used and new boats in Florida, from 10-ft. to 30-ft., for oceans, rivers, creeks and lakes. We list skiffs, bay boats, and center consoles for venturing out into the ocean. 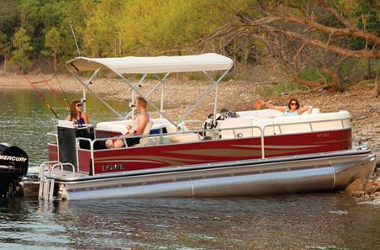 Boating accessories, parts, and trailers are available to make your boat-shopping experience convenient and easy. We also offer a convenient place to store your boat and trailer close to a public boat ramp with immediate access to the Atlantic Ocean, Cumberland Sound and its tributaries. You can use this web site to check inventory, schedule and appointment, ask questions, or place an order. We know you are busy, so we try to make your shopping experience efficient and friendly. We respond promptly. Call us on the phone if you prefer. We answer in person, or we will return your call promptly if we are out showing a boat. We will work with your schedule and make you feel welcome. Our attention to you as an individual will make you feel confident that you are getting the best boat for you at a fair price. Come see our scenic location next to the Old Town area of our island. Beautiful old trees on the edge of Egan's Creek marsh set the mood for getting out onto the water to enjoy fishing and cruises in your new boat. Let us help you get started. Olde Towne Marina is a Mercury Repower dealer. We offer a full line of Mercury Outboads.